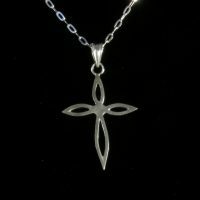 Icthus pendant with a split in one side for added interest. 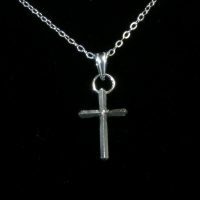 This small cross has points on the faces and ends of the arms. 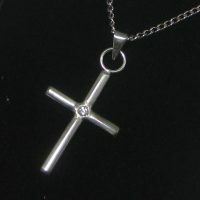 Cross set with a cubic zirconia at the centre. 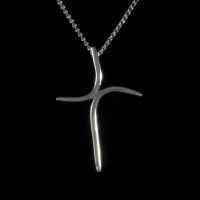 Elegant cross formed from curves of round silver. 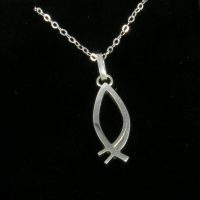 Attractive cross with each arm formed from two curved pieces of silver.